INDIANAPOLIS - For the fourth year in a row, Big Brothers Big Sisters of Central Indiana (BBBSCI) is partnering with the Indianapolis Indians in an effort to recruit 150 adult male volunteers in 50 days and raise awareness of the importance of mentoring. The campaign begins April 13 and ends on June 1, 2019. This yearly campaign was launched by BBBSCI in 2014 to meet the overwhelming need for male mentors. Previously named the "100 Men in 50 Days" recruitment campaign, this year BBBSCI and the Indians are increasing the campaign goal to meet the increasing need for more male mentors as BBBSCI'S 1-to-1 mentoring program continues to grow and serve more youth. The Indianapolis Indians are serving as the Presenting Partner for the campaign and will offer Knot Hole Club memberships to Bigs and Littles matched as a result of the campaign, as well as make special appearances at BBBSCI events during the campaign. "The Indianapolis Indians are fully invested in making our community the strongest it can be, and we know that our community is at its best when we are fully invested in the potential of our youth," Darcey Palmer-Shultz, BBBSCI Chief Executive Officer said. 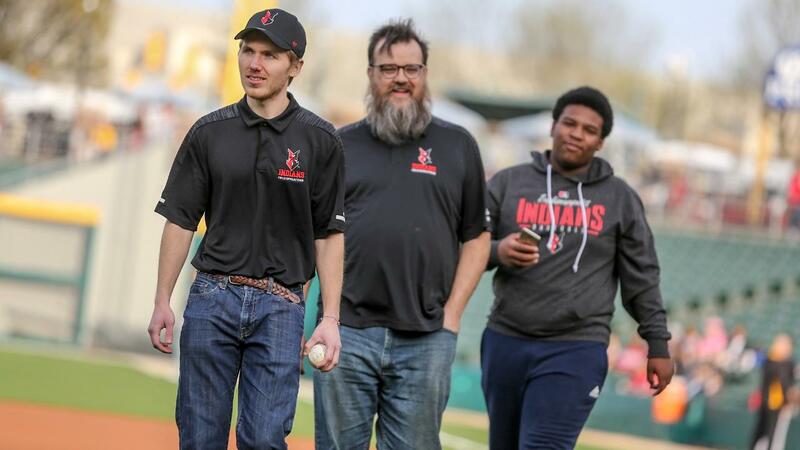 "We're thankful to partner with the Indianapolis Indians for the fourth year in a row to recruit more men to serve as mentors. We have so many kids who have asked for someone to encourage and guide them, and we want to make sure they get that opportunity." "The Indianapolis Indians are proud to once again partner with Big Brothers Big Sisters of Central Indiana," said Randy Lewandowski, Indianapolis Indians president and general manager. "The success of the campaign in previous years has been exciting, but we know there is still work ahead of us to continue recruiting matches for the ones who need it most-the youth of our community. We're thrilled to shine another light on this important campaign." Companies and individuals who are interested in getting involved with BBBSCI are encouraged to contact Rick Belbutoski, Corporate Volunteer Outreach and Engagement Coordinator, at: rbelbutoski@bbbsci.org or / 317-472-3720 or visit the website at: www.bebigforkids.org/volunteer.